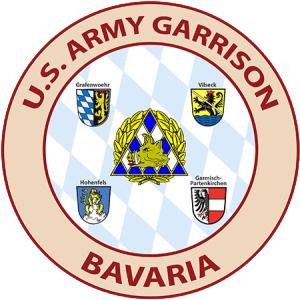 HOHENFELS, Germany — U.S. Army Garrison Bavaria and host nation partners participate in a full scale force protection exercise here June 21-23, 2018. During that time, the exercise could result in increased force protection and security measures at USAG Bavaria installations at Garmisch, Grafenwoehr, Hohenfels and Vilseck. The exercise may impact garrison services at Hohenfels and cause potential delays at the gates. Expect increased exercise activity and corresponding responses near the Hohenfels clinic, post library and facilities at Camp Albertshof. Community members can expect to see increased force protection measures during the lead up to the main exercise Sat, June 23. If you are at an affected area, follow instructions from emergency responders. These random measures are not in response to any specific threat, but are a standard part of the garrison’s antiterrorism and emergency management programs. The exercise is being conducted in order to test and improve the community’s overall preparedness for an all-hazards emergency event. The fictional full scale exercise simulates insider threats against U.S. mission assets in Hohenfels. This year the exercise will expand to include all-hazards planning, which tests aircraft pre-accident and mass casualty plans for validation. Exercise participants will simulate attacks against installation critical infrastructure, facilities and personnel. Emergency responders will operate under higher force protection (FPCON) conditions, crime scenes and treat volunteers who are pretending to be victims. To learn more about Force Protection Conditions, or FPCON, visit our article “A community member’s guide to understanding FPCON“. While the incident is not real, responses will be practiced in a realistic manner. Agencies such as the military police and the fire department will participate. German police, fire and Bavarian Red Cross participation will also participate, though limited due to external requirements. Expect to hear sirens and giant voice (loud speaker) announcements as part of the training. Expect to receive AtHoc messages. We train the way we fight. The areas of the exercise will be clearly marked. For your safety, and in order to complete the exercise in a realistic environment, keep away from these areas. The exercise area will not be open to the public. Ensuring the life, health and safety of the Bavaria Military Community is our top priority. We thank you for your support and understanding. NOTE: The installation antiterrorism office seeks four volunteers to volunteer their services: One in Hohenfels June 22 and three in Hohenfels June 23. If interested, please call DSN 526-3006, CIV 09641-70-526-3006 before June 8.